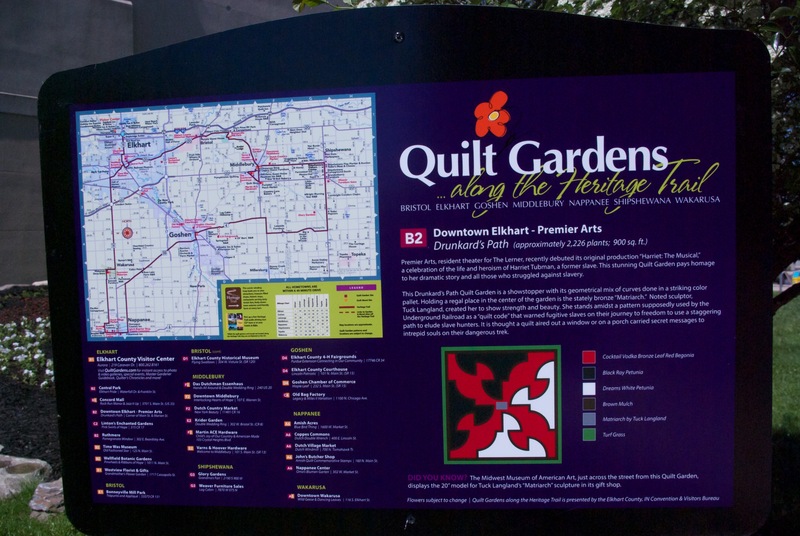 Amish Country in northern Indiana hosts a free Quilt Garden Tour every year. This year there are over 20 quilt sites, and one of those quilts includes Tuck’s Matriarch sculpture in the center of it. The Premier Arts quilt is called Drunkard’s Path, but it had less to do with drunkards than with a route for runaway slaves to get to freedom. This site is at the corner of Main & Marion Streets in Elkhart, Indiana. While you are there, you can cross the street and visit the Midwest Museum of American Art, where you can see more of Tuck’s sculptures. Also, drive a mile north and see the quilts at the Ruthmere Mansion (302 E. Beardsley Avenue) and Wellfield Botanical Gardens (1011 North Main Street). 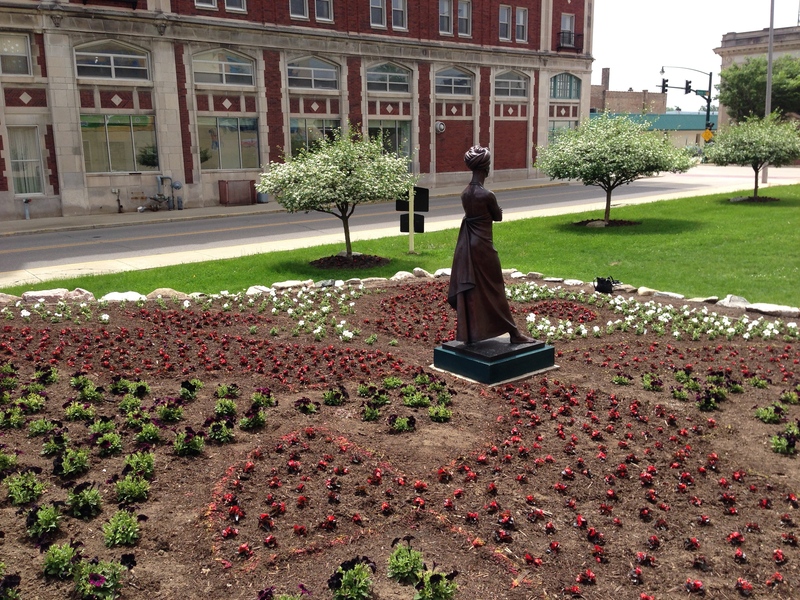 This entry was posted in Uncategorized and tagged African American, Amish Country, Elkhart, Indiana, public art, quilt garden. Bookmark the permalink.